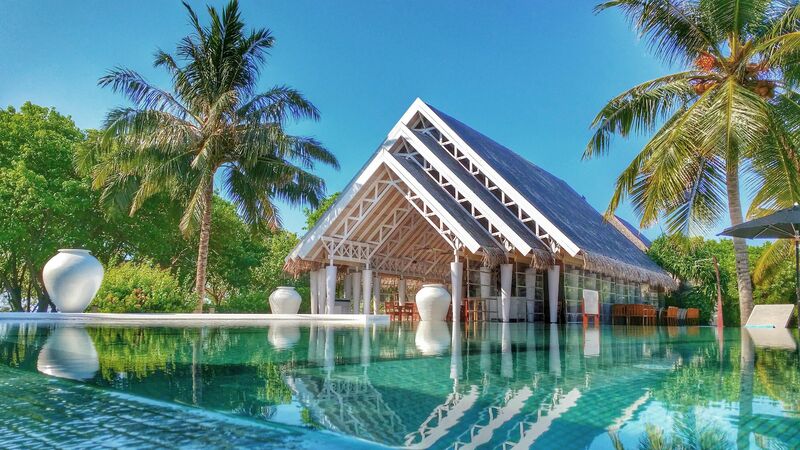 On the island of Dhidhoofinolhu you will only find one resort settlement, the LUX* South Ari Atoll. During your stay there are some fantastic activities and indulgences that await you. From a team of professionals personalising massage treatments for you at the LUX* Me Spa, to the huge range of cuisines available throughout the resort’s fine dining restaurants there is luxury around every corner. Spend your days relaxing and taking in the views from one of the hotel’s infinity pools sprawling out into the ocean or enjoy a range of activities, including scuba diving, snorkelling, and lots of watersports. Little ones will find themselves catered to as well, with the onsite Kids’ Club offering all day fun. A range of hotel child prices applies to ages 0–5, 6–11 and 12–17 years. Sovereign does not accept children under the age of 13 in the water villa or over-water categories. Breakfast, lunch, and dinner in any restaurant as per their opening schedule (excluding Umami). Afternoon tea served every afternoon at The Bar. A wide selection of drinks in all restaurants and bars. Minibar replenished daily, and the ice-cream bar is available between midday–17:00. Yoga and stretching classes, sauna, and steam room. 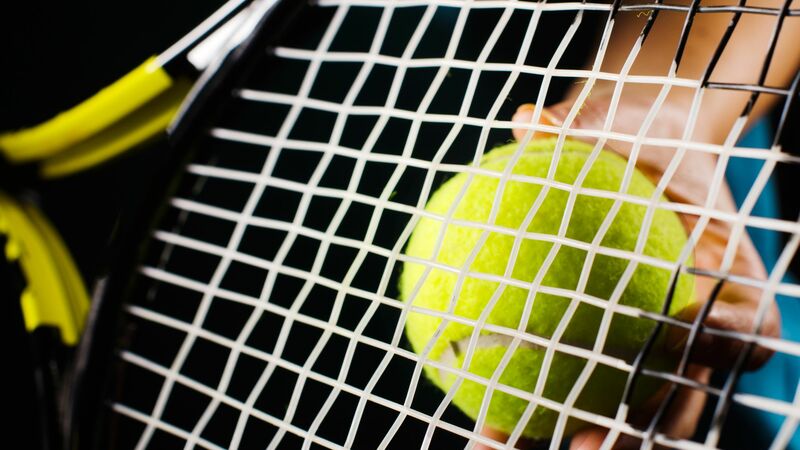 Unlimited access to the gym, floodlit tennis courts, table tennis, and beach volley. Set on the hotel’s glorious sandy beach, Beach Rouge is an à la carte restaurant that specialises in freshly made pizzas cooked in a wood fire oven. Open: 12:00 - 17:00 and 18:30 - 22:00. The East Market Restaurant serves authentic cuisines of Thailand, China, Taiwan, Vietnam and the Philippines under the same roof. Interactive stalls fill this Asian-market inspired restaurant. Open: 07:00 - 10:30 and 19:00 - 22:00. Included for guests staying on Half Board, All Inclusive and Bed & Breakfast. The Veli Bar can be found next to the hotel’s main swimming pool. As the waters stretch out to the sea, so does the length of the Veli Bar. Enjoy a refreshing cocktail or something softer from the comfort of your sun lounger. Standing at the edge of the hotel’s infinity pool, choose from Middle Eastern and Indian Ocean inspired cuisine. With a menu full of exquisite tandoori prawns, tagines and unique tropical sorbets, Senses is the go to restaurant to satisfy your taste buds. Included for Half Board and All Inclusive guests. The dress code is smart casual. Enter into a world of bold flavours and a vibrant sense of the drama of food. 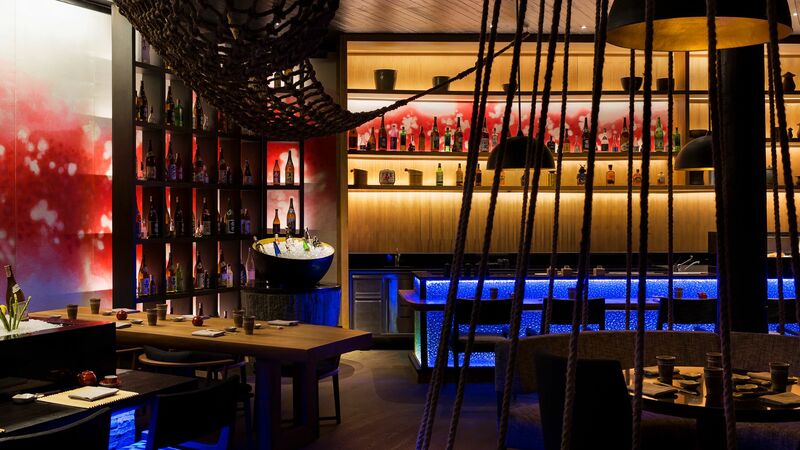 The restaurant is perched high on stilts over the shimmering waters and serves Japanese teppanyaki style cuisine. Talented and entertaining chefs will cook your meals at your table. Beach cover ups must be worn during the day. In the evening, the dress code is smart casual. The dining area is set out on the beach, housed under the tall thatched roofs. Live cooking stations are evenly dispersed and serve up a wide range of mouth watering meals, including pizzas cooked in wood fire ovens and stir fry grills with Maldivian inspired twists. Enjoy your evening meal with a backdrop of live music. Included for All Inclusive guests. Beach cover ups must be worn during the day. In the evening, the dress code is smart casual. Enjoy the authentic Mediterranean stylings of the Allegria restaurant, which is set on a stunning beach facing deck. 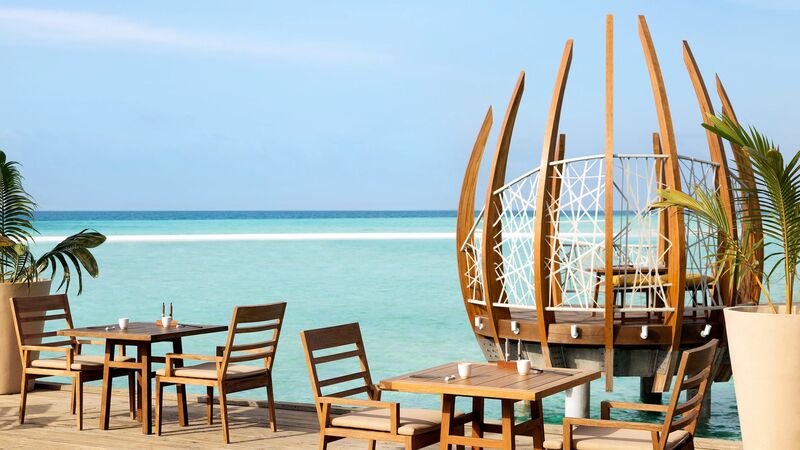 Escape the Maldives briefly and indulge in the beautifully constructed Italian cuisine sourced from quality ingredients and cooked to perfection by the skilled and passionate chefs. Included for Half Board and All Inclusive guests. Beach cover ups must be worn during the day. In the evening, the dress code is smart casual. The beach is populated by lush palm trees and offers a canopy of shade and a large selection of sun loungers where you can while away the day. 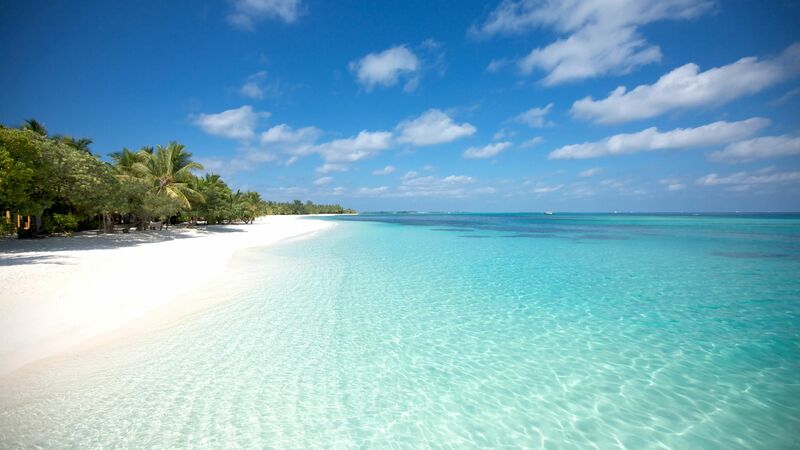 The beaches of the South Ari Atoll have breath taking views and luscious golden sands. PLAY is a Kid’s Club for guests aged 3 - 12, allowing children to explore the nature and culture of the island. 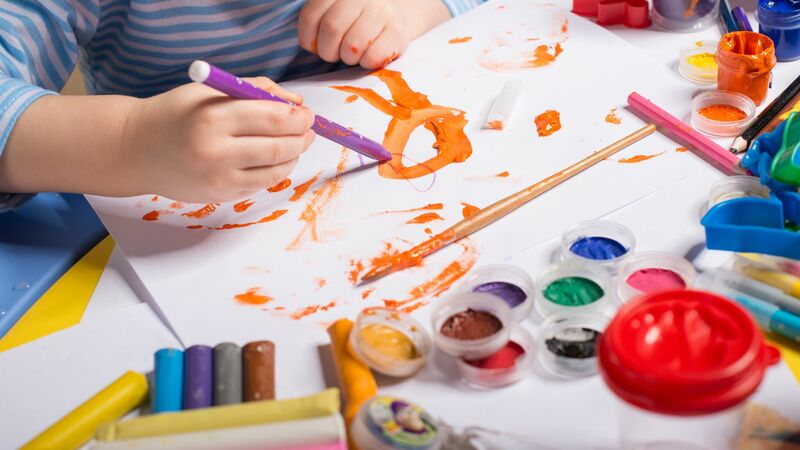 Activities include art classes, Teddy Tennis lessons and grand treasure hunts. 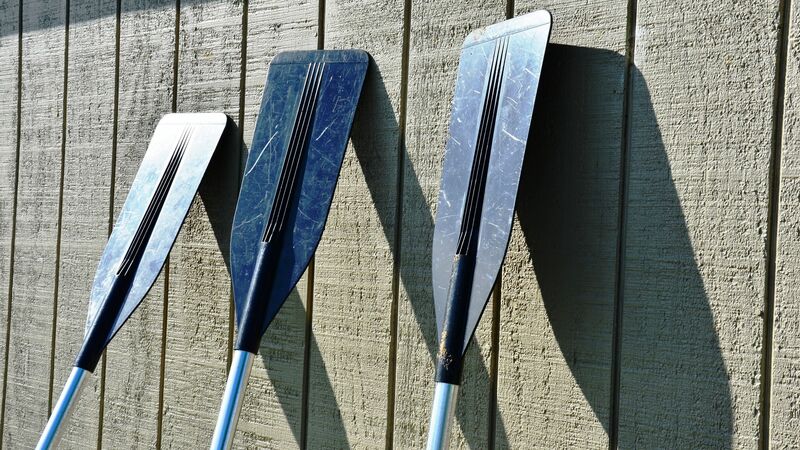 Older children can enjoy a wide range of activities during their stay at Studio 17, including language and dance classes, water sports and adventure trips which take place across the island. Ages: 3-12 years or 12-17 years. The LUX* Me spa tailors treatments to each guest, using an exclusive range of LUX* Me products to make your spa experience a truly unique one. There is also a sauna and steam room and a plunge pool available to all guests. The state of the art fitness area offers personal training with complimentary Body Balance Analysis and personal workout plans tailored to your needs. Guests can also enjoy yoga classes for every ability level. Among the grounds, tennis and volleyball courts can be reserved for guests, and there are also billiards tables, table football games and other table top sports. Explore the island with a scenic cycle route, or search for a LUX* Message in a Bottle. If you’re lucky enough to find one, you will be rewarded with a range of prizes, such as a romantic meal for two, a free cocktail and more. Take a swim or snorkel through the intricate coral reefs of South Ari Atoll or enjoy complementary use of the hotel’s kayaks and pedal boats. For a small fee, you can also try your hand at windsurfing, water skiing or jet skiing, or take a ride on an exhilarating banana boat. Each of the Maldives’ 1,000 islands plays host to its own private hotel, creating a huge range of exclusive luxury paradises just waiting to be explored. Try a wide range of cuisines, or simply spend the day on the white sandy beaches where you can soak up the sun and fully relax. When it comes to exploring, head into the capital of Malé where you’ll find a selection of bars and restaurants, as well as little market stalls and a thriving culture. Head inland for luscious rainforests and glittering lagoons, or take to the water with snorkelling and scuba diving excursions. LUX* South Ari Atoll is 25 minutes by seaplane from Malé Airport. Beach Pavilions offer comfortable accommodation with a double bed or twin beds, luxurious bathroom with a bathtub and separate shower, as well as a refreshing outdoor shower, outdoor terrace, satellite TV, DVD player, air conditioning, safe, minibar, private sunbeds, WiFi and direct access to the beach. Beach Villas are decorated in light sand and ochre tones, offering magnificent sea views and direct access to the beach. All Beach Villas include an en suite outdoor bathroom with an oversized bathtub and separate shower. Beach Pool Villas offer a private garden and an outdoor wooden deck with a sunken swimming pool and sun loungers. 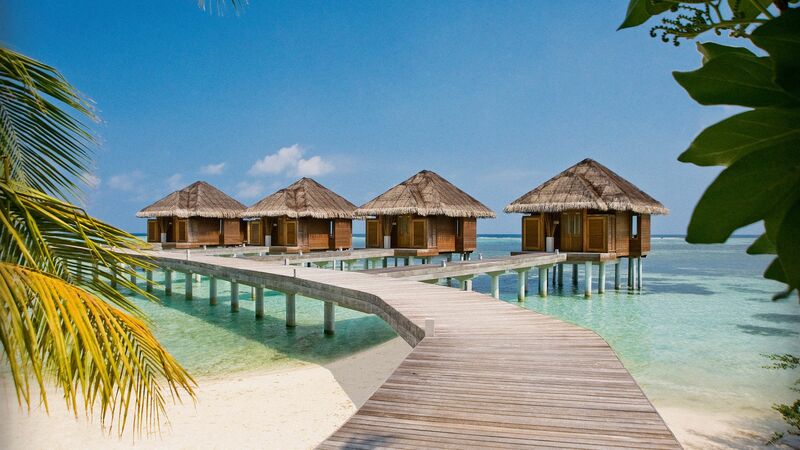 Water Villas are ideal for those looking for extra privacy. Each villa has a furnished terrace with direct access to the lagoon. Romantic Pool Water Villas are located on stilts over the crystal blue waters. The luxurious villas comprise a stylish bedroom, bathroom with separate double rain showers and come with their own private plunge pool and direct lagoon access. Temptation Pool Water Villas are designed with couples in mind and offer opulent accommodation. The villas comprise of a spacious living area with floor to ceiling glass windows and glass floor, a modern bedroom with large round bed and a spacious wooden terrace with dining area and private pool. 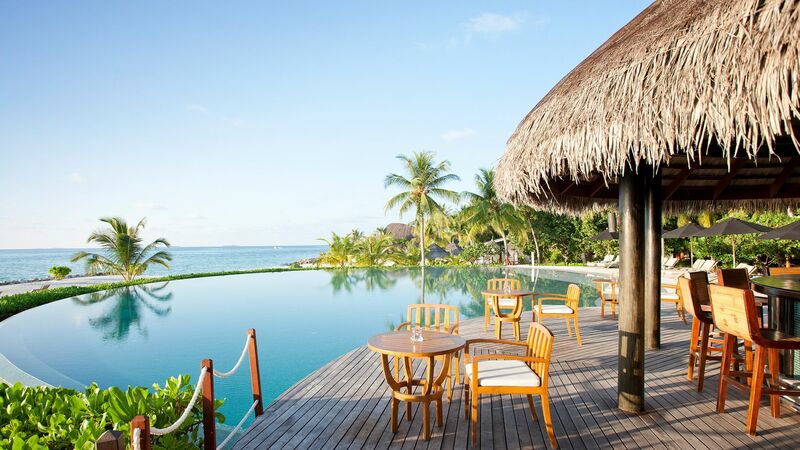 Located adjacent to the lagoon, the Family Lagoon Pavilions are spacious and offer a furnished terrace with wonderful views as well as private sun loungers on the beach. Honeymooners save up to 30% on the hotel price, receive a complimentary fruit platter, a bottle of sparkling wine and one free 30-minute couples message per stay (appointment required) for holidays between 06 January 2019 - 05 January 2020. All the reviews give you the picture already. I am here to thank the crew and maybe say what's not said. We were there in Jan 2019 so I hope I can remember the names. Nikula, Allegria manager, Moosa, Sham, Ibbis you made our stay special. Thank you!!! Food is gourmet wherever you eat on this island! They a have one of the cutest and coziest library in the world. There is a doctor and a nurse available to you. Our baby was in good hands in difficult times. We would love to go back. First time we learned the island -even it was a long stay- and second time we know where to eat among so many choices and which areas to enjoy the most. 5?????? Hotel in a 2km long Island. It has Villages with pr? ?vate pool on top of the ocean with spectacular views. It also has villages in the Island with access to the Beach. The Service from the personal is great, you can do several activities in the Island with there water sports team. It has 2 big pools i sede the island, bars with very good food and several restaurants with speciality food. I recomend to get the package that includes the food. The Views are fenomenal and the instalations very good. Totaly recomended. I surely will go back one day!!! This was our first, and hopefully not our last, visit to Lux South Ari Atoll. What a place! We were celebrating our 25th wedding anniversary so wanted to go somewhere special, we could not have chosen a better place. After a rather disappointing journey (seaplane was not running) we made it to the island of paradise, and paradise it is! Rooms - we chose a Beach Front Suite and were not disappointed. It was very spacious and we had our own sun lounges directly outside on the beach. We were on the south side of the island so saw some amazing sunsets. The room was cleaned twice a day, big shout out to Mode our cleaner who was fantastic and created some amazing towel art. Food ??? breakfast at East Market, just soooooo much food with a big choice. Lunch was always at Veli Bar (Zaheer, Mausd, Qasim, Khan, Alhan and Vishnu) ??? the dream team who looked after us. Very friendly with amazing food (best fish and chips ever). Dinner ??? Allegria was our favourite. The Manager (apologies I have forgotten his name) was outstanding and very professional. Staff ??? all so friendly and helpful. A couple of names we want to mention who were outstanding. Cham in East Market Bar was a delight and greeted us every evening with a smile. Sumeet and Aus also from East Market Bar were awesome. Our favourite part of the day was sitting at the bar with these 3 guys who entertained us with stories from afar. Would love to go back next year and already saving the pennies as it?? ?s not cheap but certainly worth every penny saved. We came back from our unbelievable holiday at Lux Maldives 6.-13.04! It was our 5th visit but rather shorter than other four stays at Lux Maldives since 2012. We haven?? ?t seen the new look of Lux Maldives after its renovation in 2016. The last four trips were made in 2012, 2013, 2014 and 2015 from Germany. I have celebrated my 40th birthday at Lux Maldives in 2013 and this time we celebrated my husband?? ?s 50th birthday there. My two boys are grown up with Lux Maldives Kids club from their age of 2 & 4 years old and this time they are grown up boys, 9 & 11 years old. As their interest changes, this time they are more into nature itself, for whale shark, turtle and manta in snorkelling. Since we lived in Singapore last two years, it has been easier to travel to Lux Maldives distance-wise from our new home, however, we were somehow busy to explore other destinations in Latin America, Europe and Asia even though we wanted badly to revisit Lux Maldives one day sooner. It was finally happened this time! Since we haven?? 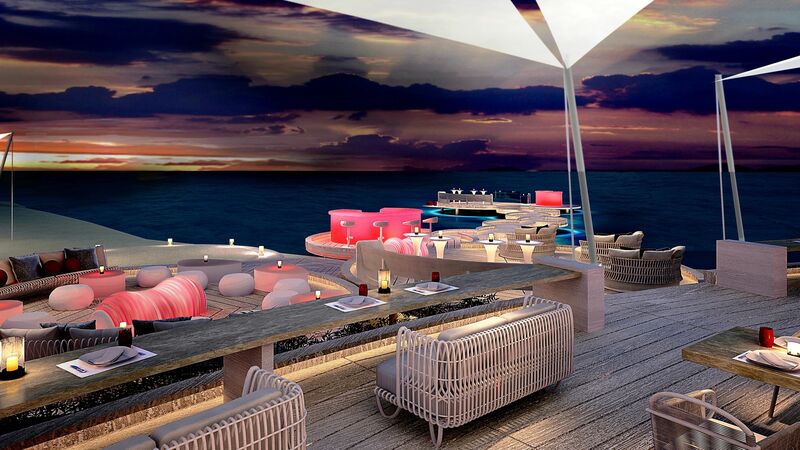 ?t seen the new look of Lux Maldives after 2016, we were very excited to go back to Lux Maldives. Beyond our expectations, it has transformed its look with elegant white and futuristic touch, sensibly harmonized turquoise shade with the Maldives nature which I found all in all are well thought for the island in nowhere. For the first time we stayed in Beach Villa east side. Surprisingly we found other beauty at east side since we are used to west side viewing heart-breaking scene of sunset every day. We enjoyed so much quiet and hidden atmosphere at east side even though it?? ?s close to the main areas where swimming pool, MIXE, gym, kids club and Beach Rouge are located. We spent many lunches & evenings at Beach Rouge where you enjoyed excellent service/food in a beautiful white/red open stage facing turquoise sea field. (I am very particular with timing of service and temperate of food in any restaurant, I would only give 7 stars to the team for their excellent work at Beach Rouge!!!) Unfortunately one thing I was not so happy at Beach Rouge was music played by Dj. I am not sure whether the lounge music mix is so easy to dance with in the disco night. The music was not definitely selected for all. It was no fun at all. Most of wonderful things about Lux Maldives have been said by many other guests in many other views in detail, so I don't want to repeat them. (And they are all true in my opinion!) However, one of the most important reasons for us to go back to Lux Maldives is simply people there. Many of them who we met during our holiday, they work so hard and sincerely taken care of their guests heartfully for anyone?? ?s wonderful holiday memories. They made our wonderful holidays each year possible in past and this time surely as well. They are ones who offers a cup of coffee with smile at Caf?? Lux and wipes the floor at the reception. It is true that we enjoyed what we paid for, food, accommodation, service, beautiful environment, nature and etc, but these are as you might expect from other five star hotel/resort. I think Lux Maldives makes itself so special even more with those because there are many champions so sincerely taking care of their guests beyond their duty itself. It is the reason for us to go back to Lux Maldives again. We couldn?? ?t believe that many of them still remembered us after our last visit in 2015 and welcomed us this time. We felt so blessed we could meet each other in good health & spirit again in Lux Maldives. It is an absolutely blessing place! Every day our room was newly born by Anfal, with utmost care and we would sincerely appreciate his excellent housekeeping service. Atish at the reception gave us the most amazing help and guide during our stay. It was wonderful to meet again Khan, Zaheer, Masud and their team with smile and care at Veli pool bar. Senses gets never changed with excellent food and service in elegancy in this all years of changes at Lux Maldives!!! Lovely to be there again! Our favourite restaurant this time was out of all, Beach Rouge. we appreciate sincerely Saju & Daminda and their entire team for their authentic meals and service. I am still dreaming, sitting at the table & looking at the ocean in Beach Rouge. Buggy driving was one of joyful moments for our boys with Hilal who guided them with the secret beautiful scenes of Lux Maldives. The highlight of our visit from the beginning was to see Mamoun again who we get to know him from our first stay at Lux Maldives. Unbelievable!!! He is in charge of transferring the warmth of hospitality to guests in the centre of Lux Maldives. It was unbelievable to greet him this time again and I felt like travelling back to old days with our small children for the first time to Lux Maldives in 2012. We are already looking forward to our next stay during Christmas this year (we might have to postpone the planned ski trip to Japan because our family wish to travel again to Lux Maldives over Christmas). Sincerely thank to the whole team for the amazing memories our family experienced again during our stay 6.-13.04.2019! This review is a little long, but worth reading if you have kids. If you don't have kids just book, its a great resort - no shortage of food options and never had a bad meal. Staff were courteous and facilities good, although the pools were not temperature controlled, so in April were very warm. The only concern from our side was the kids club. We specifically booked this resort due to the reviews of the kids clubs and the ability for the club to cater to all ages. Whilst our kids (almost 3 and 5) had fun, the resort are exposing themselves, and the children, to risk. On the first day I counted 25 children in the kids club with 2 staff overseeing. When I asked about the shortage I was advised one of the ladies had not returned from holidays, and I later heard the normal manager of the kids club had relocated to Lux's other resort. The ladies running the kids club were lovely, but clearly understaffed (and knew it). By the second day a third lady had arrived to help, however still not sufficient. In all other areas of the resort, staff were in abundance, just not here. What was more concerning was that the kids club were willingly accepting children under two, whose parents were told would receive one to one supervision - I can't see how this was provided as no additional staff were brought in, even though this comes at a cost to the parents. On the first day I phoned reception to inform them of my concerns and was told I would receive a call back which never came. Midway through the stay I bumped into the resort manager who asked how everything was going, I raised my concerns about the kids club to which his response seemed more about excuses - staff away, 70 children on the island and difficult for them to know how many of the kids would actually use the kids club. He did not seem to have any intent to resolve the issue and clearly had no plan in place to deal with fluctuations in numbers of children. The other concern with the kids club is the security, or lack there of. The gates to and from the club were generally left open, including the gate to the kids pool area, which despite being very shallow could be an issue for the younger ones. If the gates were closed they were easily opened, and our 5 year old often escaped to come and locate us. Whilst we had an amazing stay, we would be reluctant to return simply because of the potential risk the kids club presents. If you intend to take an infant or toddler and intend to leave them in the kids club, reconsider or seek assurances additional trained staff will be available before booking. If your kids are in the 5 to 7 year bracket they will have fun, but if you are a nervous parent it might not be for you. What I will say is we met a number of parents who had returned to the island 5 and 6 times, and as I understand it whilst they too had concerns about the kids club, it had not always been an issue. It is a simple fix, so I would hope the resort are proactive and rectify the issues quickly - if they do, we would likely go back.